A deviated septum occurs when the nasal septum, the structure comprised of bone and cartilage that separates the right side of the nasal cavity from the left, is crooked or off center. It isn’t uncommon to have a slight deviation in the septum. In fact, most people do. But a deviated septum can, in some cases, contribute to all manner of health issues, from breathing and allergy problems to nasal bleeding and obstructive sleep apnea. If you feel that your deviated septum is causing health problems — of if you feel self-conscious about the appearance of your nose — you should seek the help of an otolaryngologist (ear, nose and throat specialist, or ENT) with facial plastic surgery training and board certification. But what causes a deviated septum? Read on to learn more. For some people their deviated septum is congenital, meaning that they were born with it or the septum gradually began to deviate over time due to genetic or hereditary factors. Trauma, or injury to the nose, is the most frequent cause of deviated septums. The most common types of accidents in which trauma to the nose occurs include car accidents and sports injuries that shift the septum to left or right. Roughhousing and tripping are also common sources of these types of injuries. Infants sometimes sustain trauma to the nose during childbirth. And sadly, child abuse is another relatively common cause of trauma leading to a deviated nasal septum. Prior surgeries can also lead to a deviated septum. This can occur during rhinoplasty if too much cartilage is removed or if other errors are made. If you think a previous surgery may be the cause of your deviated septum, you may need to schedule a consultation with a revision rhinoplasty surgeon for an assessment of your septum. At your appointment the surgeon will examine your facial anatomy and take a look at your medical history as well as any medications and supplements you take. If the surgeon determines that your septum has deviated as a result of a prior surgery, he or she will need to determine if you are a good candidate for a revision procedure to straighten the septum. If your surgeon determines that you are a candidate for revision rhinoplasty, he or she may then use 3D imaging to show you how your nose might look following the revision procedure. If you and the revision rhinoplasty specialist decide to move forward with the revision procedure, you will need to wait a year after the date of the original procedure. This will ensure that allow for the results of the primary procedure are final. An experienced, well-trained otolaryngologist with training and board certification in facial plastic surgery may be able to straighten your septum and resolve any additional issues through a revision rhinoplasty procedure, but there are no guarantees. 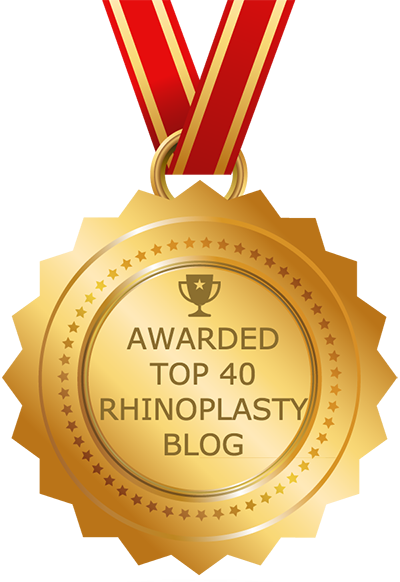 Revision rhinoplasty is among the most complex of all plastic surgeries. The results of revision rhinoplasty depend on a variety of factors, including your anatomy and what was done during the first rhinoplasty procedure. A deviated septum can also lead to sleep apnea, which is a serious condition that causes the sufferer to stop breathing while sleeping. Regardless of the cause, a deviated septum be a contributing factor to a number of health problems, including nasal obstruction or bleeding, allergy problems and obstructive sleep apnea. If you feel that your deviated septum is contributing to health problems — or if you are simply unsatisfied with its appearance — seek the assistance of an otolaryngologist with training in facial plastic surgery.